The former British intelligence officer who wrote the explosive dossier alleging links between the Donald Trump campaign and Russian officials has broken an 18-month silence to criticize the governance of the U.S. president, though not by name. Writing to Vanity Fair magazine after he was included in their 2018 New Establishment List, Christopher Steele called on the media to "speak unpalatable truths to power" and to hold the government of the United States to account. Writing to editor Radhika Jones in an email seen by ABC News, he said: "In these strange and troubling times, it is hard to speak unpalatable truths to power, but I believe we all still have a duty to do so. I salute those on your list, and otherwise, who have had the courage to speak out over the last year, often at great personal cost. "At a time when governance is so distorted and one-sided, as I believe it currently is in the United States, the media has a key role to play in holding it accountable," he added. 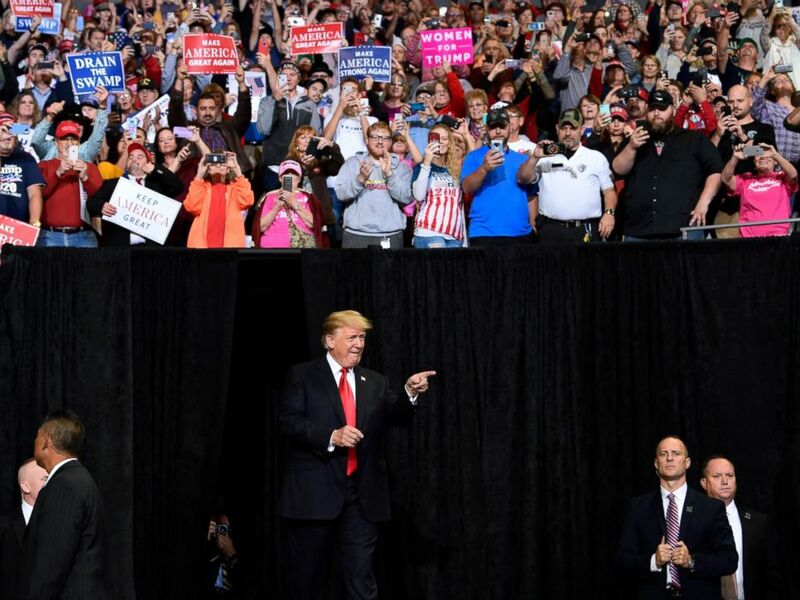 President Donald Trump arrives to speak at a rally in Council Bluffs, Iowa, Tuesday, Oct. 9, 2018. The 35-page document, known as the "Steele dossier," is a collection of memos of raw intelligence. Included in the dossier are allegations that the president had cooperated with Russia for years, and that the Russians held compromising material on him that could subject him to blackmail. The dossier contains unverified claims that the president, then a reality television star, engaged in a sexual encounter with prostitutes during a 2013 trip to Moscow. Trump has vehemently and repeatedly denied all the claims in the dossier, calling it a "phony and corrupt dossier" and calling Steele a "lowlife." Steele was a longstanding intelligence officer for the British Secret Intelligence Service, known informally by its former name as MI6, and the U.K.'s equivalent of the CIA, where he was head of the Russia desk. 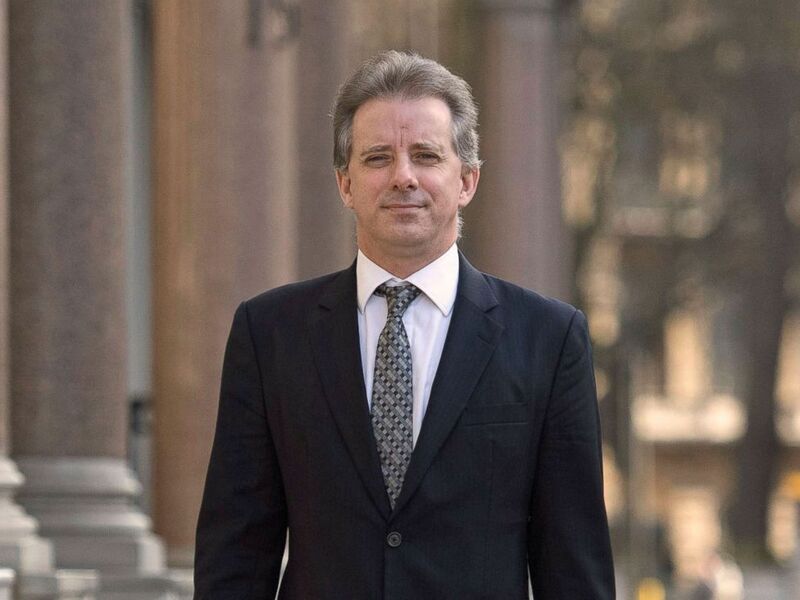 Christopher Steele, the former MI6 agent who set up Orbis Business Intelligence and compiled a dossier on Donald Trump, shown in London in this March 7, 2017 file photo. He retired from the service in 2009 to start his own private intelligence firm called Orbis Business Intelligence. In 2016, he was hired by U.S. political research firm Fusion GPS to investigate alleged links between the Trump campaign and Moscow.